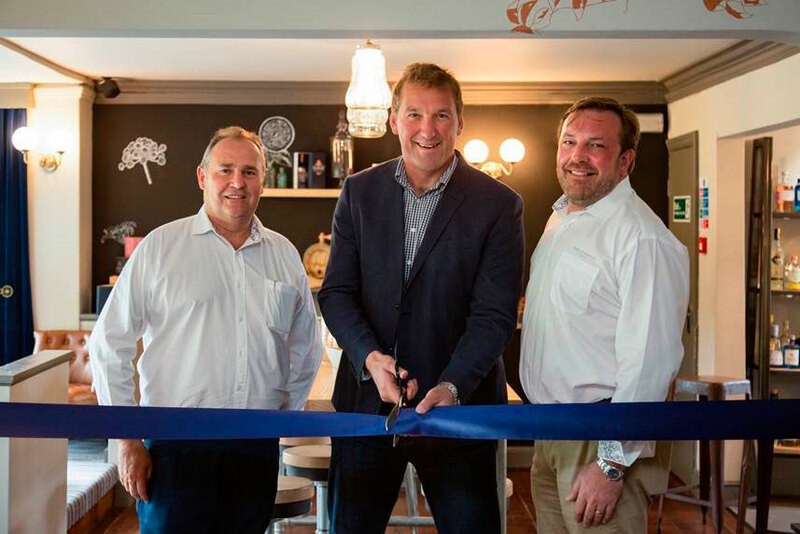 Four-time Olympic Gold medal winner, Sir Matthew Pinsent, joined the founders of Spirit of Harrogate to celebrate the official opening of their Gin Experience just days before jetting to Rio. 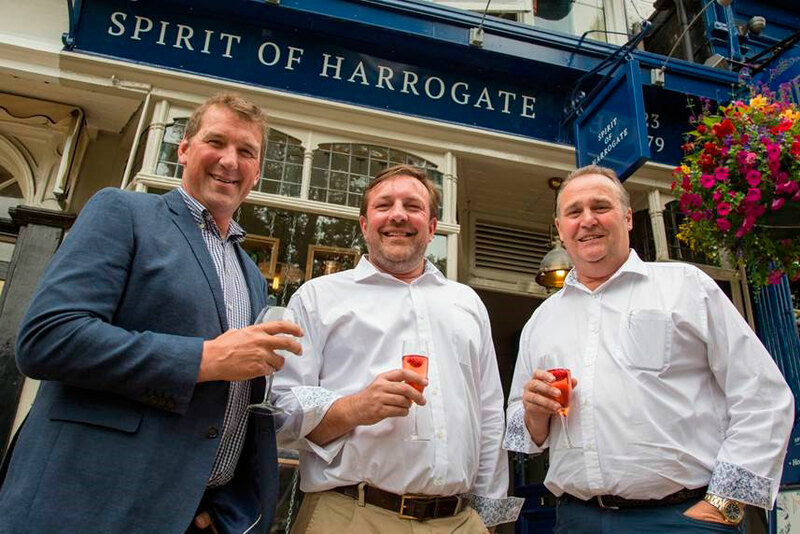 The Spirit of Harrogate opened last November, and the formal launch of the Gin Experience comes after an extremely successful period for the Harrogate based business. Since the doors opened at its prime Harrogate town centre location, over 2,500 customers have visited the two floor retail and gin experience. Sir Matthew Pinsent was not the only medal-winner in attendance as the site is also the home of Slingsby Artisan Gin, which has been recognised by a number of well-respected industry bodies in recent months. The Harrogate inspired gin won a silver medal in the 2016 San Francisco World Spirits Competition in April. The Spirit Business Gin Masters saw Slingsby earn a trio of gold medals for its London Dry and Rhubarb gins in July and to cap off an impressive month, it bagged three more silver awards at The International Wine and Spirit Competition in London and a Great Taste Award. With the first bottle of Slingsby London Dry Gin only having been bottled in August 2015, Slingsby is already boasting an impressive medal collection of its own. The Yorkshire-schooled medallist continued: “Slingsby are invigorating some of the history of the area and targeting a new audience, which I think is fascinating. Championing local partnerships, Slingsby’s award-winning products are the result of the quality of the botanicals and the Harrogate aquifer water used in its small-batch production. Of the 24 botanicals used in their gins, half are grown in the kitchen garden of the nearby Rudding Park Hotel and Taylor’s of Harrogate supply the Green Tea and Jasmine used. Spirit of Harrogate is located on Montpellier Parade, Harrogate and offers its customers one of three unique Gin Experiences: Spirit of Gin, which explores the fascinating history of the gin category; the Cocktail Experience, which shows guests how to incorporate gin into different serves; and Just the Tonic, an adventure into the other key component of the classic G&T. The Gin Experience offers its customers over 120 gins and 60 different tonics drawn from all around the world. Spirit of Harrogate has recently launched open sessions for its Gin Experiences, taking place on alternate Friday evenings and Saturday afternoons for those who would like to attend a Gin Experience, but may not have a party of up to 10 people.